You care about the taste of your coffee. 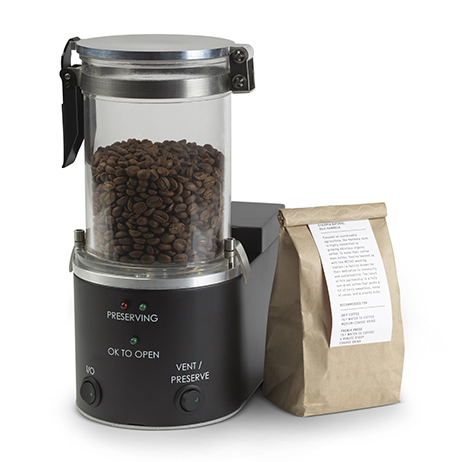 Enough to spend more than you are willing to admit on espresso machines, grinders, and whatever you need to make the perfect cup of coffee at home. But how are you storing your coffee? Nothing on the market is really designed to store coffee – other than to “hold” it. That’s where we come in. The Coffee Freshness System is designed for coffee enthusiasts who want the best method to store coffee beans. Fresh coffee beans will rapidly transition from a product that delivers excellent aroma, body and flavor in the cup, to one that can result in off-flavors and rancidity. Fresh roasted coffee beans become stale as the result of two actions. Flavor loss due to the evaporation of volatile aroma compounds and the development of rancid off-flavors due to the oxidation of the remaining aroma compounds and lipids within the coffee beans. Your coffee is preserved in an airtight container which is filled with pressurized CO2 gas via our patent pending process. This process prevents spoilage and loss of flavor by greatly reducing the coffees exposure to oxygen and moisture. Most containers that coffee is sold in are only single-use; our unique design allows you to re-pressurize as often as needed. 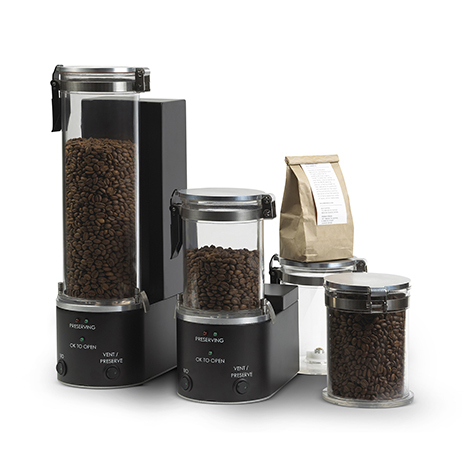 With multiple canisters, you can preserve multiple batches of coffee without worrying about flavor loss or rancidity. Can you tell when your coffee is going stale? Do you care enough to use the best method of storage? If the answer is yes, then you will likely find that a Coffee Freshness System is something you can’t do without. There is a feeling of satisfaction the first time you use the system and expect stale coffee but get unexpectedly fresh taste.